Thanksgiving is a season when we can feel either very grateful or very guilty (we can feel guilty because we don’t feel grateful). We all know that we are supposed to be thankful for everything we have – all of God’s blessings – and the good things we enjoy in life. But what if we just don’t feel thankful? What if life is just too painful right now to express feelings of gratitude? If this is the case, I wouldn’t suggest that you share it with many people – they may not understand! No one would argue that the Lord has been good. Even in difficult times, He cares for us, provides what we need and gets us through. When life is at its worst, God is at His best! So how can it be that anyone would not experience overwhelming feelings of gratitude for all that He has done and continues to do? Let’s recognize the spiritual nature of gratitude and the impact that it can have. Thankfulness is more than warm, fuzzy feelings. Thankfulness is a gift from God that enables us to recognize blessings. He has provided this gift to every person who has reasoning skills – even unbelievers. But thankfulness is also a great spiritual weapon. For the Christian, an attitude of thankfulness serves the purpose of glorifying God. A truly grateful person is a spokesperson for the Lord. They freely share their feelings about all that the Lord has done for them. Others see and hear this praise and they are inspired to follow suit. So imagine the damage that can be done when a Christian loses their gratitude. Their voice of praise is silenced and countless other people are negatively influenced. Thanksgiving is under attack. Clearly, the enemy of our souls has very effectively created an atmosphere of entitlement in our culture. He has convinced millions of unsuspecting souls that they deserve the good things that they enjoy. A partner to entitlement is greed. In our nation, it is common for people to, rather than being grateful for what they have, want more and more! If it were a mathematic equation, it may read something like this: Entitlement + greed = selfishness. It is nearly impossible for a selfish person to be grateful. I want you to know the importance of your thankfulness. Gratitude is such a valuable weapon that the devil will do nearly anything to steal it from you. He has succeeded in many people. He wants to blind us to God’s goodness. He is trying to make us feel insecure. He attempts to make us hard-hearted. His goal is for us to become jealous, covetous, envious, and ungrateful. He knows this: Lack of gratitude means a lack of future blessings. The story of the 10 lepers in Luke 19:11-19 proves this fact. If Satan can make you ungrateful, he can prevent you from receiving many future blessings. Thanksgiving doesn’t ignore the fact that we go through hard times. Certainly, we all suffer times of grief and mourning. Yet, these experiences do not negate God’s goodness. When a person expresses their sincere gratitude to the Lord, they are not in denial. They simply realize that the Lord has been good, and, in spite of their circumstances, He is worthy of our praise. Allow me to encourage you – fight for your thanksgiving! Even if you don’t feel like it, express your gratitude. This is not hypocrisy nor is it simply positive thinking. It is your commitment to show appreciation to God beyond your emotions. Use the gift God has given you to thank Him! By doing this, you will: 1) Give praise to our worthy God, 2) defeat the enemy in your life, 3) influence others to be grateful and 4) develop the habit of thankfulness, opening the door to future blessings! The Bible tells us that God’s love is too great for us to fully comprehend, yet we may experience it to the fullest extent. When we experience it, we may understand it. Yet, the love of Christ is too great for us to fully understand. Ephesians 3:18-19a says, “And may you have the power to understand, as all God’s people should, how wide, how long, how high, and how deep his love is. May you experience the love of Christ, though it is too great to understand fully.” This is a paradox! How are we to understand something that is not understandable? And what does this have to do with being thankful? Like God’s love, gratitude is a gift. It seems the more we grasp it, the farther it is from our ability to understand it. But once we experience it, we desire to embrace it more and more. It is not enough just to say, “I am thankful to God.” Our words and our thoughts are not sufficient to express our response to God’s goodness. Our vocabulary is too limited and our reasoning capabilities are hindered by our humanness. In spite of these weaknesses, the more thankful we are, the more thankful we become. This is part of what it means to partake in the divine nature of God (II Peter 1:4). God allows us to engage in a supernatural experience with Him. He reveals His love to us; we respond and begin a life-long process of growing to love Him more every day. Likewise, God opens our hearts to the gift of gratitude, yet we can never experience enough gratitude. I was thankful yesterday – I am more thankful today than yesterday – I will be more thankful tomorrow than I am today. Ad infinitum. We are at our worst when we are ungrateful. When we forget God’s blessings, when we become entitled, when we demand more and more – (greed, selfishness and narcissism are destructive elements), we miss the heart of God. Trying to convince an ingrate to be thankful is akin to reasoning with a man who uses the breath of life to curse God. “God has been good!” The understatement of the century! Unless we feely come to terms with the incomprehensible goodness of God, we will lack hearts of gratitude. So, how many times must we say, “thank you” to God? Once is not enough, nor is one million times. The point is not to say “thank you” enough times. The point is to live a life of ever-increasing gratitude to the Lord. This Thanksgiving season, let’s make our very best effort to be truly grateful. In order to accomplish this, we must realize our inability to accomplish it without God enabling us. An old song says, “even the praise comes from You.” Think about that. The thankfulness that you feel in your heart is a gift from God. You could not begin to thank Him unless He provides the wherewithal to do so. Quite humbling! Facebook is full of friends sharing their daily “I’m thankful for” posts. This late in the month, a few people are running out of things to list. Let’s dig deeper. Thanksgiving is so much more than a day or a month of talking about the stuff we appreciate. Thanksgiving is a personality characteristic. It is a lifestyle. Genuinely grateful people stay there – they live thankfulness. They see what they have. Maybe because they haven’t always had it, maybe because they once had it and lost it. But they now recognize the gifts that they enjoy. They savor what they have. They take their time and enjoy and really experience the blessing. No rushing through the motions. They make it last as long as possible. They share what they have. Those who are really thankful enjoy their blessings so much that they don’t want to deprive others of the same thing. So they share. In fact, selfish people are the most ungrateful folks around. What are you truly grateful for? See it. Savor it. Share it. The best things in life are NOT free. I understand the inference of the old adage that says that they are: in essence, it means that you can’t buy happiness. That remains very much true. But I believe that some folks may misunderstand the concept. 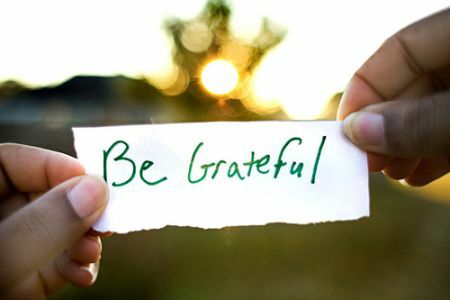 As we are approaching Thanksgiving week, people will be waxing sentimental about the things for which they are grateful. Invariably, some will focus on the simple things in life; family, health, food, peace of mind and so on. 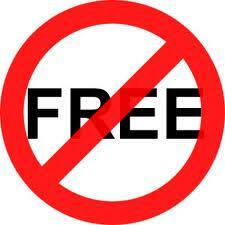 The point of this post is this: these things, and all of the things we may categorize as simple, are not free. Rather, they are very expensive. A healthy family does not just happen, each individual invests a lot of themselves, or it will not be healthy. The food we enjoy is expensive – not just at the grocery store, but someone had to work hard to provide the food and put it on the table. Good health is many times, the result of healthy living. The best things in life will cost you. Unfortunately, some are sitting idly by waiting for someone to give them the best things in life. They feel deprived when they can’t enjoy the nice things that others enjoy. They bemoan the fact that they do not have friends to spend time with. They may find it difficult to be thankful when so much of life is void of the “best things”. While compassion certainly is apropos for this season, so is personal responsibility. I am thankful for the best things in life. These things cost many people a lot. The very best thing, my relationship with God, cost Jesus His life. Very expensive!